Learn about the post-Civil War struggles between Chief Joseph of the Nez Perce and US General Oliver Otis Howard, then hear about the growing number of older "houseless" Americans living full time in RVs and camper vans: For some, it's the ultimate freedom; for others, it's all they have left. Daniel J. Sharfstein is the author of "Thunder in the Mountains." Filmmaker Ken Burns explores the history of the Nez Perce in Oregon's Wallowa Valley in his series "The West." Jessica Bruder is the author of "Nomadland: Surviving America in the Twenty-First Century." The next Rubber Tramp Rendezvous will be held in January 2018 near Flagstaff, Arizona. 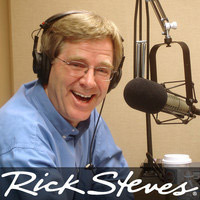 The host of the rendezvous, Bob Wells, is an enthusiast of fulltime RV living. He hosts message boards and detailed information for people considering scaling down to fulltime RV or camper living, on the CheapRVLiving.com website.